Last week’s New Yorker article by Malcolm Gladwell, combined with a leaderless workshop on global warming, adds up to an inescapable conclusion: Al Gore, your work is not done. THE REVOLUTION WON’T BE FROM THE COUCH. In his latest New Yorker article Malcolm Gladwell breaks the bad news about social media, which is that you probably aren’t likely to “change the world” sitting in bed in your underwear pounding away on your laptop. Sorry. It’s called “weak ties.” It makes for weak efforts. He says you’re gonna have to comb your hair, put on your shoes and get out the door. 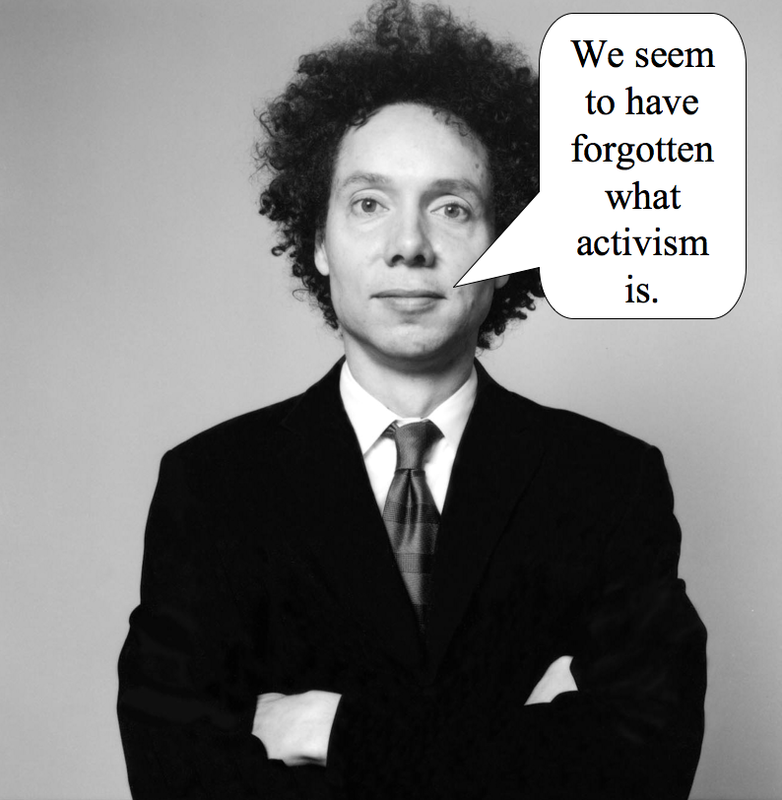 He uses the civil rights movement as a model for social change, then says, “Fifty years after one of the most extraordinary episodes of social upheaval in American society, we seem to have forgotten what activism is.” Tell it like it is, brother Gladwell! Last week a group of very nice people with wonderful intentions were kind enough to invite me to their one day, climate change workshop in Washington D.C. They had invited 60 experts of various sorts and, because of my book, decided to add me to the mix. Much appreciated. There were a lot of interesting people present, including the heads of many climate activism organizations. The day was broken into three working sessions in relation to climate change — 1) What we want, 2) What has/hasn’t worked, 3) What we should do. The last topic was meant to be a guide for the future of the entire climate movement. Plenty of interesting things were said by plenty of interesting people, but in the end, one big thing was missing: A leader. 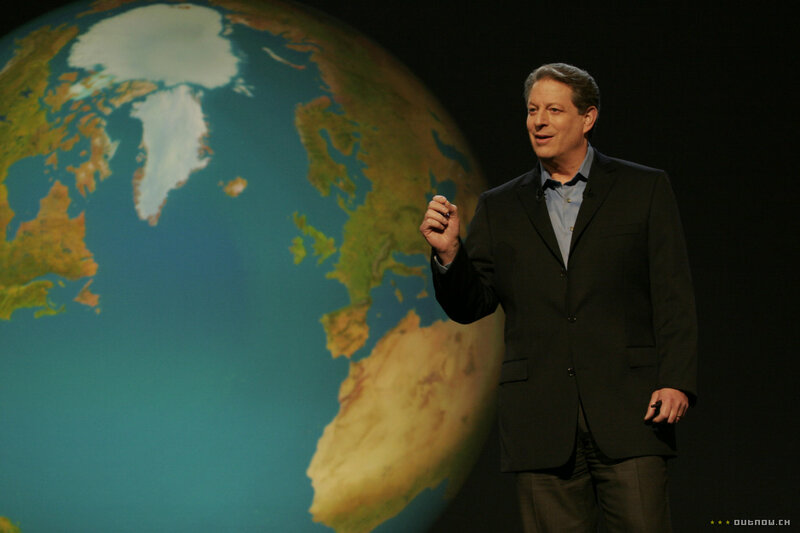 I suppose a lot of people would still assume that Al Gore is the leader of the global warming movement, but I don’t think that’s been the case since 2008. In July of that year I was on NPR’s Talk of the Nation in a 3 part segment about global warming in which the first segment was a live interview with Al from San Jose where he had just given a talk about shifting his direction more towards energy than climate. I don’t think he’s played much of a role in the climate issue since then, and his name certainly didn’t come up much during the workshop. In fact, I was sort of surprised that in the “what worked/hasn’t worked” portion where all the groups made lists of their top three items, not a one of them mentioned Gore and his movie in either way (worked or didn’t work). Which to me was ridiculous given that the movie is the ONLY major item that most people of the general public have in common when they think of the topic of global warming. I’m afraid the answer is yes. Which set me to thinking — can leadership really be that simple and painfree? All you have to do is look at George W. Bush these days (if you can find him) to see the pain involved with failed leadership. Wouldn’t it be nice if no one had to take any chances of being blamed for failures? Wouldn’t it be nice to have “risk-free leadership”? You figure out what you need to do in order to go in that direction, implement the needed policy, and then when it fails, there’s no single individual to blame — only the vast, faceless public. But are the answers to polling questions always the best guide for policy? For starters, we generally aren’t going to say we want things that aren’t fun. Like taxes, for example. This seems to be the situation for the subject of climate change now. During the workshop I spoke quietly with some senior people in the movement. They said the major funders these days are eager to fund one polling study after another after another. There is such comfort in these numbers. It’s a blame-free direction. And much like science, it works like a treadmill in which every study ends with the “More studies are needed” mantra that can never be argued against. It seems to be a win, win, win situation for the funders, the pollsters, and the public as people are told by the “leadership” the very things they say they want to hear. Given how much polling has been done for climate over the past decade, you’d think the problems would be just about solved. But that’s not the case. The mood of the entire workshop was sadness, disappointment, and depression because as of the moment, pretty much the entire global warming/climate movement has been a failure. That’s the unavoidable conclusion if you use as your scoreboard the amount of national climate legislation passed (none) and the amount of individual state legislation passed (the one impressive piece of state-level legislation has been the 2006 California Global Warming Solutions Act which is now under siege by Proposition 23 to override it). As the day wore on I spoke with several people about my perception that the workshop had been too much about looking at polling data, and not enough about there being an absence of bold, brave leadership. I was pleasantly surprised at how many agreed with me. One very important climate person instantly gained my respect when she said to me, “Don’t these people understand polls are meant to be used for guidance, not constraints.” Bingo. For the next two days my head was swirling with the question of, “Is this really a picture of a viable movement for today’s world — no human leadership, only polls?” Maybe I was just wrong and behind the times with my desire for individual leaders. Those thoughts ended two nights later on the flight back to California as I read the excellent article in last week’s New Yorker by Malcolm Gladwell titled, “Small Change: Why the revolution will not be Tweeted.” Thank goodness for him, his incredibly sharp mind, and his stern, almost grouchy old man voice in this particular article. It’s great when a visionary for the future is able to point wisely to the past. Gladwell’s article is so good. For starters he addresses the over-hyping of “social media.” I love what he has to say. It’s the same theme I presented in my book when I cited people like Stanford professor Larry Cuban talking about the long history of over-hyping of educational technology. From Edison in the 1920’s labeling educational films as a panacea, to software manufacturers over-hyping the use of computers in the classroom, the pattern is clear. And why shouldn’t it be? If you’ve poured millions of dollars into developing the technology, wouldn’t you be inclined to call it a miracle? So he debunks the roll of Twitter in protests from Iran to Moldova — in the latter pointing out that, “Twitter had scant internal significance in Moldova, a country where very few Twitter accounts exist.” Then he goes on to poop on the effectiveness of having millions of Facebook friends behind pages dedicated to causes. As I read his article I thought of my visits to the Lower Ninth Ward of New Orleans in 2007 for the filming of, “Sizzle,” two years after Katrina — thinking of all the countless Facebook pages and media noise about the tragedy that had befallen the residents there, but then sitting in Micky B’s bar where we filmed, listening to the real people saying they weren’t seeing a dime of help from the outside world — including Spike Lee coming and filming his HBO special but not donating anything to the neighborhood, to the point where my $500 cash I simply gave them out of my pocket as a donation was more than they had seen from anyone. That disconnected me from the virtuous cheerleading of Facebook and the reality of whether anyone was actually DOING anything about the specific issue on the ground. Too much noise, not enough signal, as Gladwell points out. He eventually begins talking about good old-fashioned leadership and the idea of people actually DOING things. He talks about the “strong ties” that existed among the four young men who staged the first sit-in protest of segregation policies in North Carolina in 1960 and how the behavior was propagated throughout the south. But things have changed. Today, after watching the efforts of Bill McKibbon’s group a couple of weeks ago (people who actually DO things) doing their stunt where they took solar panels to the White House, you could see the dynamic of today at work — “One person actually DOING something, one hundred people blogging, Tweeting, and opining about it.” It’s becoming a sad joke. How many people does it take to change an energy efficient light bulb? One to do it, one hundred to Tweet/blog/comment on it. I felt this way about the Gulf spill — that there was a loud and violent ERUPTION of outrage about the spill on the internet, and yet … just a handful of people out there actually DOING anything about it in the streets. There it is. I don’t want to regurgitate his whole article here — you really, really should read it for yourself. He provides all the justification for that statement. Now ask yourself what is the goal of the climate movement? It is to move our society off of an overly-carbon intensive lifestyle. Could there be a much more “powerful and organized establishment” than what is behind this carbon emitting lifestyle? This is not an easy, spare time agenda that the climate movement has taken on. And some individuals like James Hansen have already come to this realization — he is engaged in ACTUAL activism of the sort that Gladwell points to from the past (in fact, the day before the workshop Hansen was in cuffs in front of the White House protesting mountaintop coal mining — Yay for people like him actually DOING things!). It’s a powerful and serious article Gladwell has written. And he didn’t even mention the issue of climate. But the relevance is all over it. What this means for the climate movement is the only hope for success is through a more hierarchical structure. PATIENCE AND HUMOR. That’s what the climate movement needs. The patience to keep Al Gore as the leader, and humor because “having a sense of humor” is an essential part of being human. I’ve made no bones about it — I feel that Al Gore’s movie, “An Inconvenient Truth,” was a hastily assembled, ineffective piece of media. I’ve used the four chapters of my book to dissect it in an effort to understand why it didn’t accomplish both goals of awareness and persuasion. It succeeded marvelously with the former, but as Mr. Gore has conceded more than once, it failed to produce “the sense of urgency” they had hoped for. So I’m still critical of the movie, but these days I do find myself admiring Al Gore for just “DOING SOMETHING” in relation to climate change. And I felt like I rounded a corner last Tuesday as I sat in that room with 60 well-meaning environmental folks who seemed to be lacking one major thing — a leader. A month ago, one of the Maine lobster fishermen in my film, “Salt of the Earth,” when asked what he learned from his father, replied, “The importance of patience and humor in life.” My 86-year-old mother has locked onto that now, repeating it to me over and over again. So here’s where we are with the climate movement. Al Gore actually DID something. It wasn’t perfect. It didn’t result in being able to proclaim, “Mission Accomplished!” yet. But it did move things forward. What is needed now is a willingness to conduct a thorough critical assessment of what his movie and agenda accomplished. And I mean a thorough, brave and HONEST assessment. With a willingness to not worry about hurting feelings — just itemize all the pluses and minuses. And then invite Al Gore to resume his role at the top of the climate movement. And maybe make another movie with him, only this time have it tell a story as entertaining and compelling as the story Neil De Grasse Tyson tells about the movie, “Titanic,” which I quoted at the end of Chapter 3 in my book. It’s like they always say about how, “A bad marriage is better than a good divorce.” Al Gore isn’t perfect as a leader, but at least he’s DONE something. None of these pollsters and focus groupers and social media activists are doing much of anything.